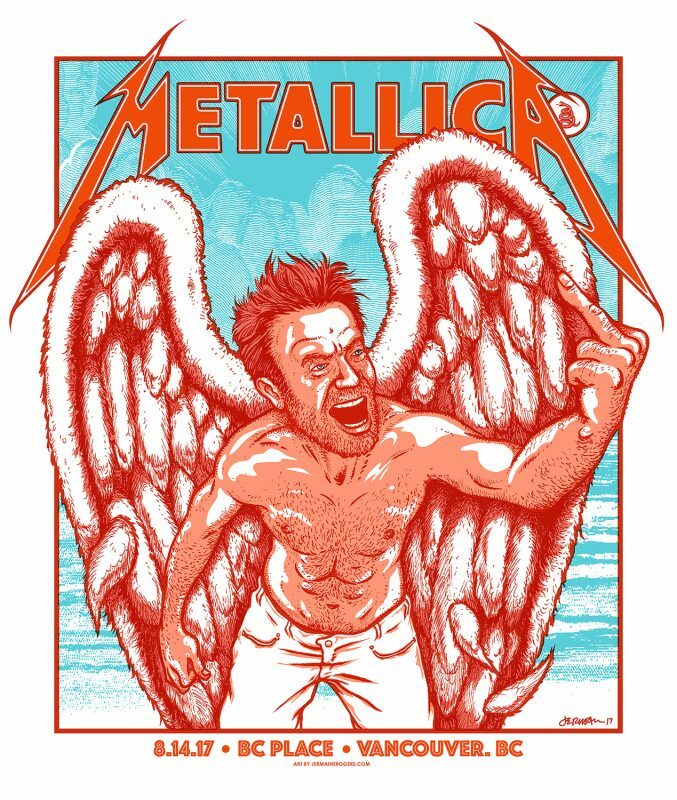 This official piece was created for the legendary band Metallica for their 2017 Vancouver show. ‘When I was first asked to create a poster for the band, visions of skulls, monsters, and fire filled my head immediately. Here was a chance for me to revisit all of those grizzly Metallica ideas that I had in high school, and which crudely decorated every notebook cover I could get my hands on, back then. After giving it some thought, though, I decided to go a little deeper. I wanted to approach this project from a different angle, something a bit more unexpected. Stardream Opal Edition – Measuring approx. 26×22 inches, screen printed on rich pearlescent Stardream Opal stock. 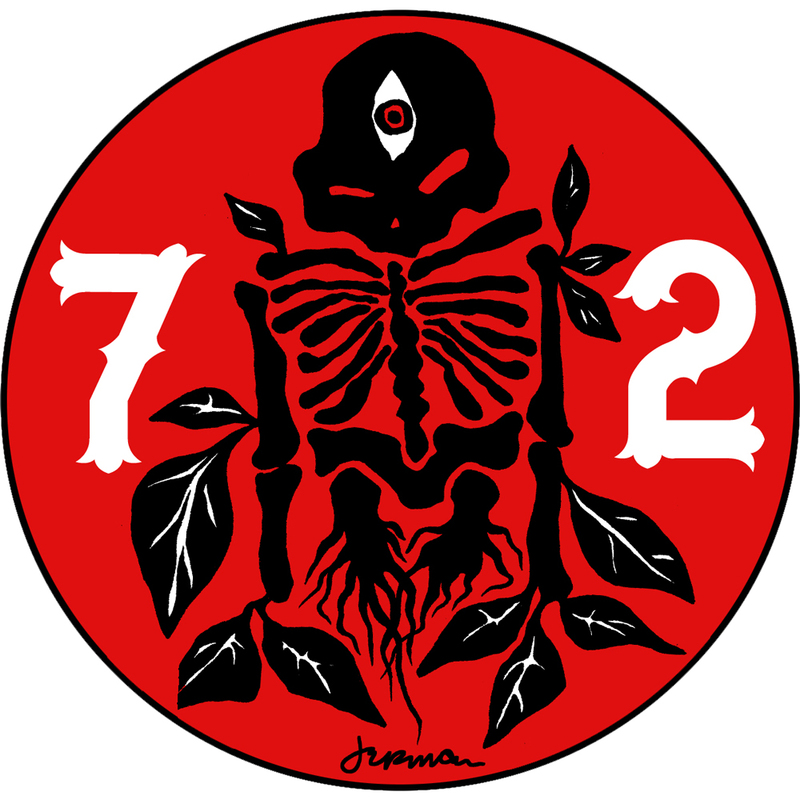 This print as an offset print was given to VIP attendees to the show by the band, and was never made available for sale. Lava Foil Edition – Measuring approx. 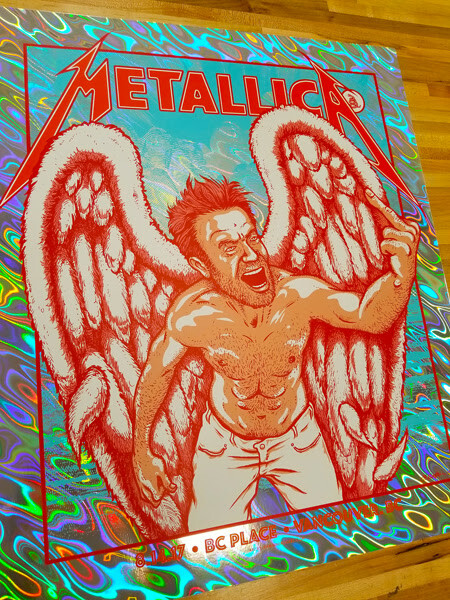 26×22 inches, this official piece for the legendary band Metallica is screen printed on holographic Lava Foil stock. 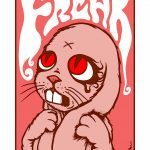 An extremely limited number of these prints are available (less than 30), and they are signed by Jermaine Rogers.